I am a “reader” — I love to read books, newspapers, and magazines (my college degree is in Library Science, if that tells you anything). I prefer to read biographical books….and if it is also historical, that is even better. I rarely read a novel; rather I enjoy reading about real people and their triumphs and tragedies. There is always something to be learned from someone else’s life journey. Several years ago, I worked in the office of a manufacturing plant. One of the employees in the factory was sent to my area one day to sign some papers. When he appeared at my desk, I greeted him and placed the papers in front of him for his signature. After some hesitation and a highly awkward moment, he leaned forward and whispered, “Ms. Leslie, I will need to make my “X” mark; is that okay?” I was stunned but managed to stifle my surprise, smile, and say, “Sure, that will be fine”. Inwardly my heart was breaking. I vividly remember the moment: I was 42 years old and had never met anyone who could not read or write. I fought back tears as he exited my office. For the next two days I was troubled by the incident. Questions bombarded my mind: Had he dropped out of school? Did he have a learning disability? Did he want to learn to read and write? Had anyone ever offered to teach him? After some research, I discovered that the public library in my city offered an adult literacy program, sponsored by volunteers (retired school teachers) who gave freely of their time in an effort to eradicate illiteracy. Knowing this could be the answer for my co-worker, I sought the opportunity to talk with him and present the option. He listened intently to what I told him, but said he was too old to learn. I told him that he was not too old. We bantered back and forth for several minutes with him giving excuses why he could not attempt this program, and me countering each excuse with motivation and encouragement. I finally realized that I did not need to push the issue—he needed time to digest what I had presented. I walked away leaving him with “if you decide you would like to do this, just let me know. I’ll be glad to help.” He never contacted me. I think of this man every time I walk into the public library…I am still saddened by the fact that he probably never learned to read or write—but at the same time I whisper a prayer of gratitude for the awesome privilege I possess: the ability to read. Scientists tell us that every new thing we learn creates a new crease in our brain and is a possible safeguard against Alzheimer’s. Reading, of course, is the best avenue to learning. 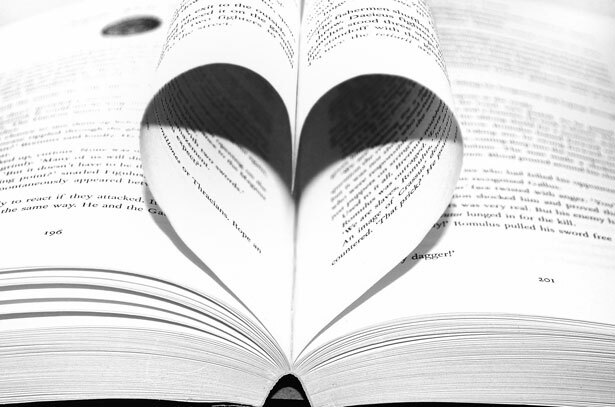 During this “love” month of February, I hope you will seize any and every opportunity to “love learning” something new….AND “learn loving” the fact that you are so richly blessed to be able to read.